Friday, April 13 at 6:30 p.m.
Saturday, April 21 at 1:30 p.m. The first few days, I was with a tour group, then I spent the rest of the time traveling alone. Since, I was alone, I communicated throughout the day with God/Goddess and traveled where I was led. If I wasn’t sure what to do, then I stayed put until signs and answers evolved, sometimes slowly and sometimes quickly and without a shadow of doubt. In January 2018, I began listening the audio book, “Big Magic”, by Elizabeth Gilbert. In here she speaks of the Divine Creative Force of the Universe and how we receive inspiration and creative ideas. Once we receive these inspirations, we have to move forward or else, it will move along and land in the next person’s mind, thoughts, energy that is ready to receive the inspiration. 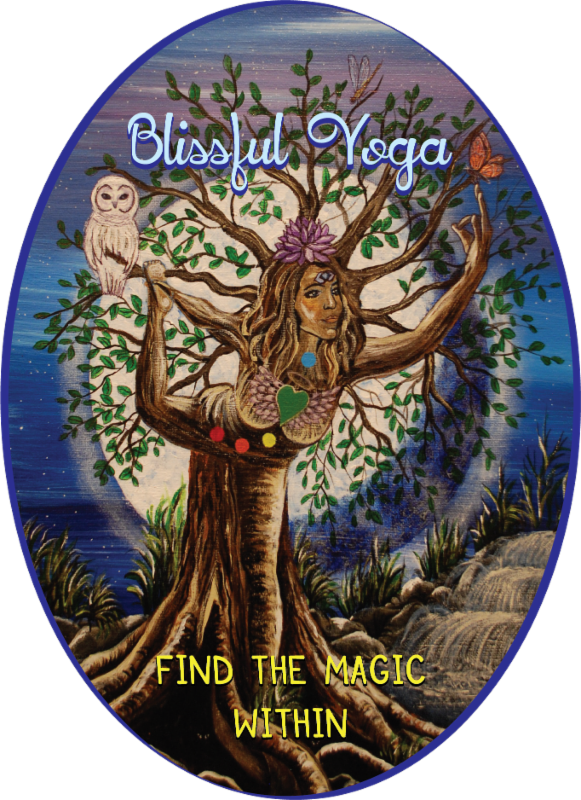 Immediately, I had to S TO P listening to “Big Magic” because I had a creative idea flowing around me with Blissful Yoga2’s 200 hour teacher training program for almost five months now, yet I wasn’t moving forward quickly enough. So, I broke out a ton of yoga books from which I have studied and then choose my favorites and began to slowly change my personal yoga practice each day to merge deeper with all of my trainings. For the past year, I’ve been experiencing lower back pain that fluctuates from a level two to seven (on a scale of one to ten) and my own yoga practice had to be modified. Our bodies change and our yoga practice also changes. In July, I will be 53 years old and began practicing yoga in my thirties. As a yoga teacher, learning to modify our practice is the most important lesson and gift to receive, yet it is also the hardest as our ego, body and memories, usually have a different agenda. My focus changed to moving more consciously from the inside while making some subtle adjustments in my bandhas/internal locks in the body throughout my practice and my life . I focused on strengthening from the inside. The changes I was making required me to consciously be aware of my movements throughout the day, from yoga asanas, to sitting, standing and walking, etc. Each moment was a concentrated focus on reprogramming the way I “am” in my body. After months of this internal focus and from developing Blissful Yoga’s Shaktinanda 200 hour teacher training course, my lower back pain began to slip away. This did not happen immediately. It took a conscious effort where I would see some results and then none. Recently, while in India I realized that I had a huge relief from the lower back pain, yet I have to keep focusing on the new movements in my body and not to go back into a power type of vinyasa yoga practice, which always ends up sending my lower back into spasms. Shaktinanda is a blending of my time at Sivananda’s Ashram Hatha yoga classes (I’ve spent over 250 hours or nine weeks there during the course of five years practicing yoga for four hours a day or more), my 500 hour studies at the Himalayan Institute’s (in Honesdale, Pennsylvania) Hatha/Tantric course, my 200 hour Vinyasa training, and also my roots as a dancer and trainings through Kripalu in YogaDance (160 hours). Shaktinanda is a blending of Hatha/Tantric and Vinyasa. But this Vinyasa is different. Vinyasa means flowing with breath. In deeper and in my opinion, more authentic yogic teachings, including my teachings from travels through India, asanas are held for longer periods of time, which makes sense. In order to get the benefits, we need to spend some time in the asana. So, Shaktinanda 200 Hour Yoga Teacher Training is a Hatha/Tantric/Vinyasa spiritually based course. For our course, Hatha is the physical practice of asanas, Tantric is embodying the Divinity within oneself while both on and off of the mat, and Vinyasa is flowing with dance like movements while linking consciousness with Prana/Breath, our life force energy. This course feels very balanced, healing and divinely creative. July 27, 2018 and end on a Full Moon night, January 27, 2019! Let the creative magic within you blossom on this course of self-development! Victoria Purcell-Goodwin, E-RYT, Intuitive Healer, Sacred Empowerment Coach & the owner of the Blissful Yoga studio in Mullica Hill, New Jersey. Victoria is a strong believer in the value of regular personal practice. Beginning in 2000, she found that a consistent regimen of yoga and meditation helped her to manage Reflex Sympathetic Dystrophy, a chronic pain condition. 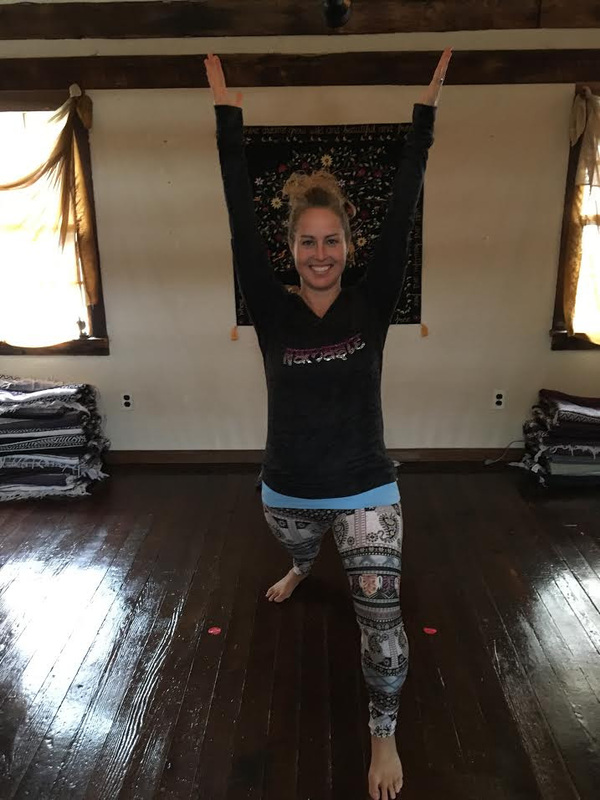 She has been an avid student ever since, completing her first teacher training program at Kripalu Center for Yoga and Health in 2006; Yoga Dance, a yogic study of movement through the Chakras, and continuing on to earn certifications in Vinyasa, Yin, and Children’s Yoga. She is currently studying at the Himalayan Institute for her 500 Hour Advanced Yoga Teacher Training. A yoga teacher for 12 years, she is also an Intuitive Energy Healer, offering Reiki and Chakra Balancing Energy sessions, and a Sacred Empowerment Life Coach. 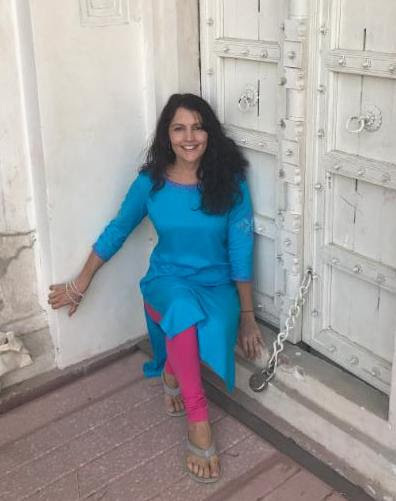 Her passion and calling have led her to extended stays in India where she has spent undisturbed time in meditation, exploration, and the study of Yoga philosophy and Ayurveda. Victoria describes her trips as “magical”, bringing mind, body, and spirit into a united surrender to faith. Victoria’s yoga classes are a blend of the physical practice of yoga along with the teachings of ancient yoga philosophy to guide each student deeper into themselves to find the magic within. She offers yoga retreats to share these immersive and transformative spiritual experiences with her students and other seekers. Her trips include daily asana and spiritual practice, immersion in local yogic culture, and travel through ancient spiritual centers. Mary Procacci started practicing yoga in June 2015. She was looking for a new purpose and stumbled upon Blissful Yoga! Her first class was Yin. She felt so good after that first class and was totally hooked from then on. Mary took every beginner class available until August when she challenged herself to Blissful’s 21 Day Yoga Challenge. She continued her practice every day since! Mary spent the entire year taking workshops, practicing yoga and meditation and learning everything she could about yoga. She began Yoga Teacher Training in April 2016 at Blissful Yoga. Her dream when she began was to teach yoga to kids of all ages. Mary went to NYC in August 2016 and received her Kids Yoga certification with Kidding Around Yoga. Now, Mary wants to share the gift of yoga with anyone who will practice with her! Mary is a 200 hr Hatha/Vinyasa teacher, Yin Yoga teacher, Reiki Master and has continued her studies with a 100 hr Chakra Immersion Training. Mary is also a 3rd grade teacher in Wilmington, DE. She begins every morning with her students doing a meditation, along with positive affirmations. She also teaches yoga to her students and staff. Teaching her students mindfulness and meditation in school has helped her and her students build confidence, focus and the ability to self-regulate their feelings, emotions and behaviors. It creates a fun-loving, peaceful and positive environment for learning. Mary wants to spread her love of yoga to children and adults alike, to help them find their own inner peace and strength. Mary invites you to step into the magic of your true Self in every class, challenging yourself to feel what you are truly capable of being! Bill’s spiritual journey officially began in 1974 when he was initiated in Transcendental Meditation. In 1975 he attended a six-month teacher-training program in Switzerland to become a TM Initiator. In 2014 Bill was initiated into the Himalayan Tradition by Pandit Rajmani Tigunait. After a nearly 30-year teaching career in higher education, Bill retired and moved to the Himalayan Institute in 2015. He holds a Ph.D. in Exercise Physiology and is a registered nurse. 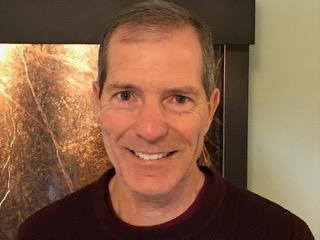 At the Himalayan Institute, Bill works at the PureRejuv Wellness Center where he is a certified biofeedback therapist and offers systematic relaxation and meditation sessions for clients. As a graduate of both the 200 and 500-hour Yoga Teacher Training courses at the Himalayan Institute, Bill teaches yoga classes to residents and guests of the Institute. He also teaches anatomy and physiology to students in the Institute’s 200 and 500-hour Yoga Teacher Training courses. Previous Post Arrogantly be here!